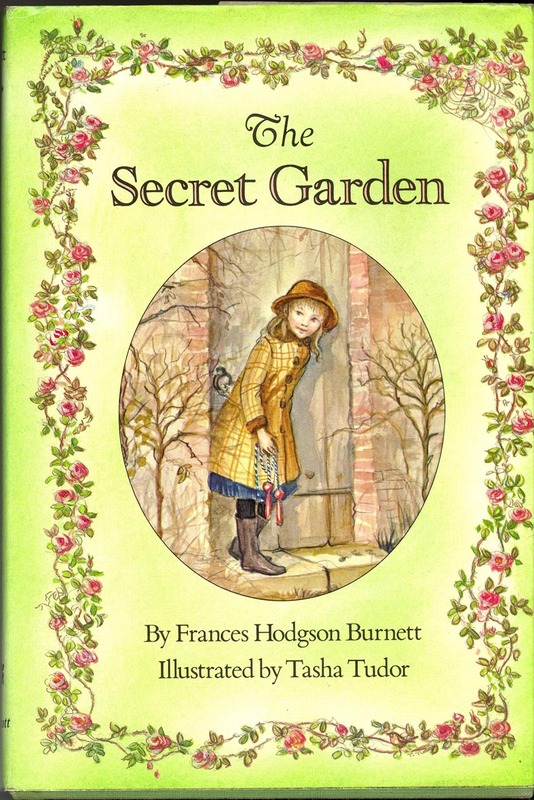 The Secret Garden by Frances Hodgson Burnett is a classic children’s tale that I think adults can enjoy too. As part of my “Books We Should Have Read” book club, this was the March read and it was a good choice since reading about gardens and growing things keeps me hopeful that Spring will eventually come. The Secret Garden is a tale of Mary Lennox, an orphaned girl around the age of ten, who is sent to live at Misselthwaite Manor in Yorkshire, England with her uncle Mr. Craven after her parents die of a cholera breakout in India. Known as Mistress Mary Quite Contrary when she arrives in England, Mary soon finds an appreciation for the moorland and gardens. Dickon, the brother of Martha who is one of the manor’s servants, being savvy with nature, helps her grow the garden. 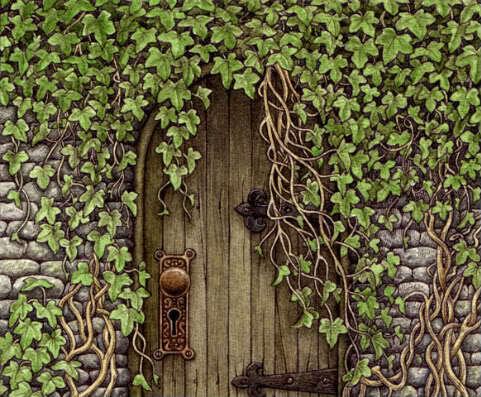 When she meets her cousin, Colin, who believes he is an invalid who will die young, she tells him about entering the locked and therefore secret garden, which used to belong to his dead mother. I knew this story inside and out because I had seen the movie several times before I knew that it was based on the book written by Burnett. I can say that there are a few discrepancies in the story between the movie and the book, but it stayed mostly true to Burnett’s world. Although, this story by the description can sound rather morbid, with Mary being sickly and orphaned when she arrives, her uncle being an unhappy widowed hunchback and Colin being doomed to a sad, unhealthy and short life, it is actually a story of hope. It goes to the root of human nature. Since I studied psychology, I know that in the past, people with mental health disorders were locked up (usually chained) in the cold, dark basements of asylums. Once the patients were given access to the grounds and fresh air, they began to improve with this adjustment to their lifestyle alone. The same type of effect can be seen in Mary. She comes to England, yellowish in colour and in a constant contrary mood. After she spends some time outside in the fresh air, running, listening to birds and animals, and looking at the nature, she beings to grow stronger and healthier. The story follows Mary’s and Colin’s journeys and even Mr. Craven’s journey to health and happiness and this growth is paralleled in the awakening and fostering of the secret garden. The symbolism is simple, but is weaved in so well that the reader can enjoy watching the simultaneous growths. I think that it is a great story for children and it also makes me want to spend more time outside and for anyone who is interested in flowers or gardening, I’m sure it would get you itching to get gardening. he only thing I noticed, as a modern-reader, is that there were several times that the book was repetitive in terms of how the nature and growth was described. Many novels these days have very little description and rely more on action. However, this story focuses heavily on description and most of the time, it is a pleasure to read. There are times though that you may find yourself reading over some paragraphs that seem very similar to previous descriptions of the nature. Have you read The Secret Garden or seen the movie? What did you think of the story? Did you find it uplifting? What’s your favorite childhood story? Thanks for this beautiful review of a classic children’s story. I’ve read this with the kids in my life. I enjoy many children’s stories,too many to name here, but some of my faves are by EB White, Roald Dahl, JK Rowling, Eve Bunting, and CS Lewis. I LIKED THIS NOVEL THE SECRET GARDEN AS IT CREATES LIVELINESS AND ENCOURAGES TO DO SOMETHING . MARY WAS THE ONE WHO ENCOURAGED AND PUT INTEREST IN COLINS LIFE. I love the book so far!I am reading the book for book club and my hole group likes it.You have inspired me to do more,with writing. this is very interesting story.